Election is necessary to choose a representative by the people in the federal, state and local levels of the government. Election is a democratic process in which the eligible citizens (18 years of age) of a country choose a person or member or representative for national and local level. 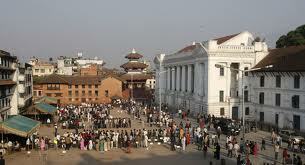 Nepal holds election forthe posts of President, Vice President, State Representatives, and Local Level Representatives. The election is conducted by the Election Commission. It is the name of list of the people who have the right to vote in the election. The Election Commission prepares it every year including the name of eligible voters who are above 18 years of age as started by the commission. This is necessary for any voter to get teh right to vote. This contains the name, address, identification number and photo of the voter. A piece of paper prepared by Election Commission containing names or symbols of candidates for an election is called Ballot paper. A ballot box is a box made specially to keep the ballot paper after casting the vote. A polling center is the designated area where people go to vote in the election. When setting the polling center, they pay attention over distance, easiness for voters, management of security and transportation, etc. A polling centers might have the capacity of casting votes of 1200 people. If the number of voters is more than the capacity of polling centers, the sub polling centers are set up as required. Certain age requirements must be fulfilled to be a candidate of any level of the government. President/Vice President - 45 years of age. Federal Representative - 25 years for federal and 35 for national government. State Council Representative - 25 years of age. Village Committee Mayor, Vice Mayor, Members - 21 years of age. Should be a citizen of Nepal. Should not be punished for any criminal offense. Should not be disqualified by the law of Nepal. Should not hold any public post paid from the state treasure. This is the permanent body of election lies in the center, which consists of Chief Election Commissioner and other commissioners. It conducts all types of election fairly and impartially. During the election, it appoints the election officers in every election constituency. After the declaration of the date of election, Election Commission appoints the election officers. 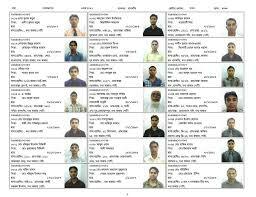 The persons who are the government job holders can be appointed as the election officers. They are appointed by the election officers and from among the civil servants or government employees during the election. To make necessary arrangements in polling and sub-polling centers. To begin the election in scheduled time with legal process. To postpone or cancel the election if necessary. 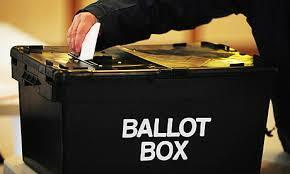 The election in which representatives for national level or the parliament are elected is known as general election. It is held after end of every 5 or 6 years. The election where the representatives of local bodies like DDC, VDC, municipalities, etc. are elected is known as local election. The process of deciding any important issue by the popular participation of citizens during voting is called referendum. In this process, the citizens have to choose one out of two options. The election which takes place before the end of the set tenure because of the dismissal of the members of legislative body is known as mid -term election. The re-election that is conducted because of death or resignation of the legislative or local members is known as by election. Election is a democratic process in which the eligible citizens (18 years of age) of a country choose a person or member or representative for national and local level. 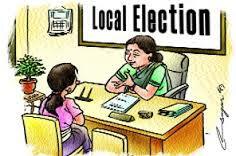 Types of election are general election, local election, mid-term election, by-election. According to the present constitution, there are three bodies of election and they are Election Commission, Election officers and Polling officers. According to existing law of Nepal, write any four bases to disqualify the candidate in the election of constituent assembly. If the candidate is not the Nepali citizen or does not have his/her name in the electoral roll. If he/she is ever punished for a criminal offence. If he/she is disqualified by any law of Nepal. If he/she has held a postpaid from the state treasure. 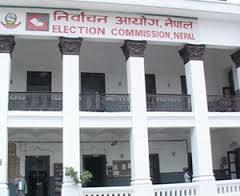 What sorts of arrangement had Election Commission managed to conduct the Constituent Assembly Election, 2070 B.S. peacefully, fairly and impartially? Mention briefly in any four points. 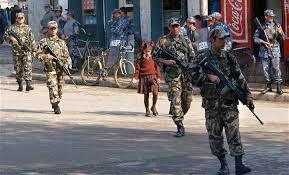 A large number of security forces were mobilized to stop unwanted activities regarding voters and candidates. Different organizations and individuals were permitted to observe and evaluate the activities of election which helped it to be more peaceful and impartial. Voters education and unbiased officials were in the priority of the election commission, which helped election to be fails and more impartial. 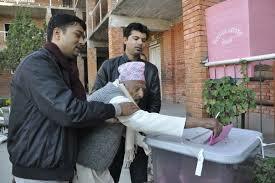 It was the second election held for constituent assembly on fourth mangsir, 2070. It was considered as the peaceful, fair and impartial as about 80% people voted freely for their candidate. What do you mean by election code of conduct? Justify the need of election code of conduct in four points. Mention four points briefly that should not be done in accordance with the election code of conduct. The rules and regulations developed by the Election Commission for conducting election activities in free, fair and impartial ways are termed as Election code of conduct. They were applicable for political parties and their candidates, government of Nepal and its ministers, organizations and local administrative bodies owned by the government and the mass Medias. They regulate the activities of the political parties and their candidates and others for systematic performances. It controls different malpractices that influence the election process. To ensure that every voter has no problem of taking part in election and not be influenced of crazy works of the political parties and their candidates. In accordance with the election code of conduct, the following activities were not to be done by the political parties and their candidates. A candidate could not spend more than a maximum of Rs. 1 billion for his/her election campaign. Anyone, except security forces could not use helicopters or plane for publicity except those 11 remote districts where road transport is difficult. The political parties and their candidates, or any other were prohibited from influencing the voters in the name of election by providing them with money or any facility. A rally or mass meeting should not abstract the movement of people and vehicles and had to not involve any weapons. What terms and conditions should the people in the community who are eligible for adult franchise fulfill to be enlisted in the voter's list? According to the existing rule of the election commission of Nepal, the one who has completed the age of sixteen and having the certificate of Nepali citizen can be enlisted in the voter's list. But to be eligible to cast vote in the election having the certificate of Nepali citizen and enlisting in the voter's list is not enough, for this he/she has to complete the age of 18 besides, enlisting in the voter's list. 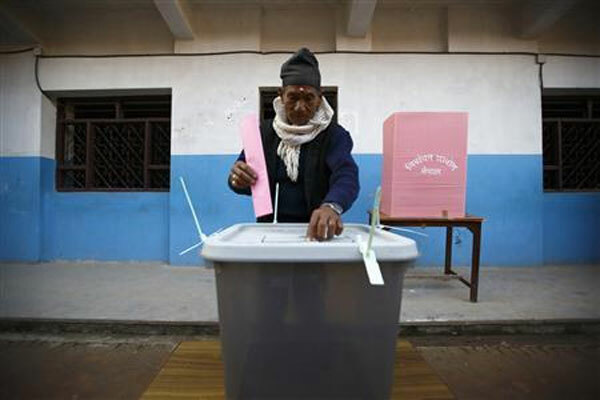 What efforts have been made in Nepal to raise awareness towards election? Mention any four efforts. Public speaking: Various programmes are organized in different places in different places of Nepal for public speaking. People from different sectors like civil society, students, teachers, civil servant, and farmer take part in the public speaking about creating awareness regarding election and to understand the value of their vote in the election. Mass meeting: The political parties of Nepal and other independent candidates organized mass meeting to address the people. They express their plan, policies programmes and distribute election to the people which helot to build up public awareness. Election campaigns: Election campaigns organized by the political parties' independent candidates, election commission are very useful to raise awareness towards election. Publicity: The election commission, the political parties and the independent candidates raise public awareness by publishing their activities. Many ballot papers become invalid in our country as a result of improper stamp. What is to be done to control it? Express your opinion. 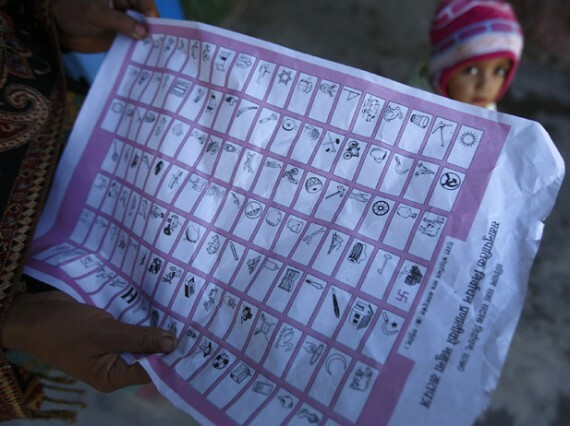 Yes, many ballot papers are invalid in Nepal as a result of improper stamps. The followings things should be done to control it. Providing training to the people to put seal correctly. Educating people to tick against the candidates' name. Making wider margin between two symbols. How many types of election are there? According to the present constitution,how mnay bodies are there of election? What is the eligible age of casting vote? What is the responsibility of polling officer? Make necessary arrangement in booth. What is free and fair election ? Explain briefly in any six point to the basic terms of it. Any Questions on 'Election Process '?